Discover the Parador de Esquí Canaro in Canillo, Andorra. The Parador de Esquí Canaro is located between the villages of Incles and Soldeu in the parish of Canillo, in the Principality of Andorra. 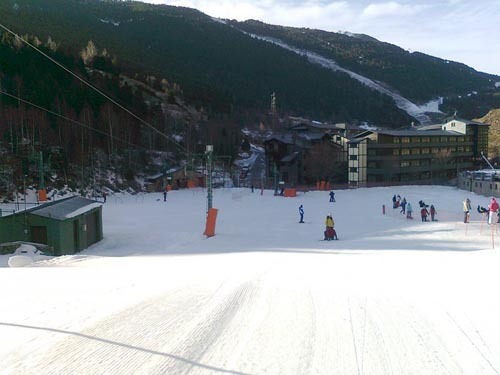 The Parador de Esquí Canaro is the perfect place to start practicing ski. It is worth noting the easiness to access to all the services, so it is recommendable for both children and adults. Among its facilities, it has a sledging area, perfect for the children to have fun with total security. The Parador de Esquí Canaro counts on a ski school with qualified teachers that can give private lessons.